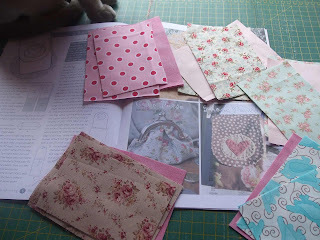 Fee's Little Craft Studio: Oh Bliss !! How is your weekend coming along? 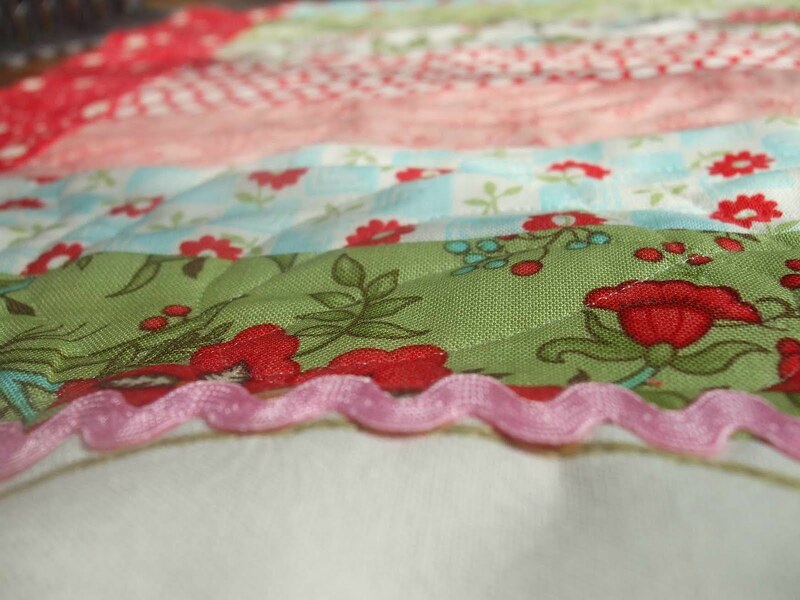 Have you managed to spend some time sewing? I hope so..... I have had to work for the last 2 nights but I did manage to get in some sewing time before I went to work yesterday and almost completed my new design using "Bliss". 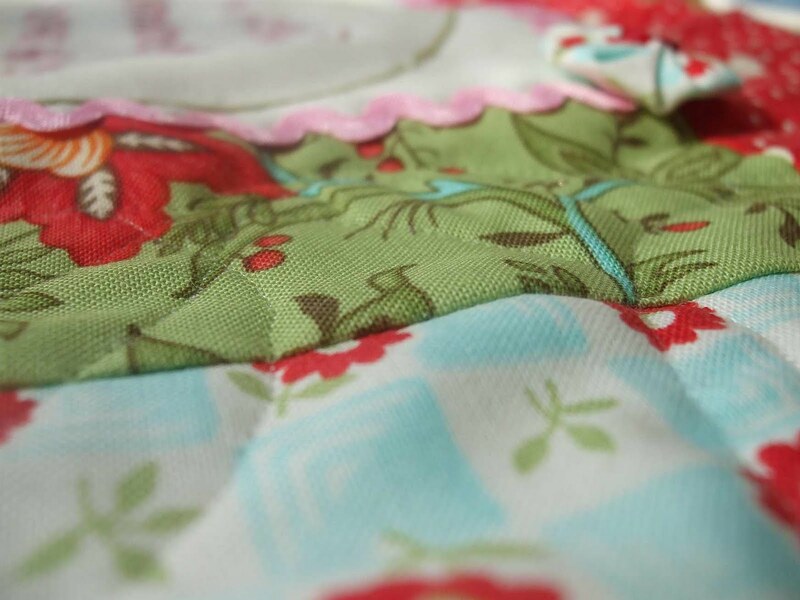 I know that I have told you before but I am "loving" this range of fabric - It is just so Bright, Fresh & Yummy !! 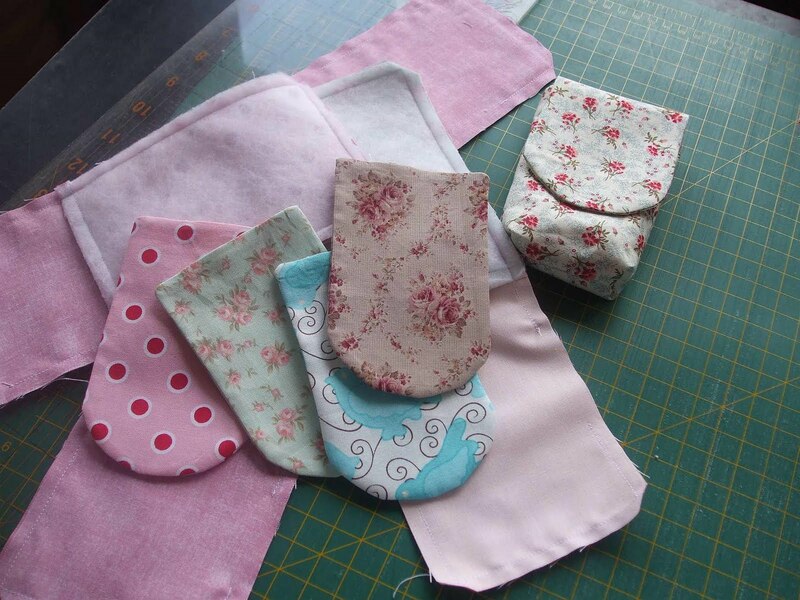 I also cut out and started to make some Mobile Phone Pouches to add to my christmas stash. Can you see the paw in the top of the picture? I of course had help from my trusty "Sewing Assistant". If you are a regular reader you will know all about my "Sewing Assistant" - " Dreamer....... 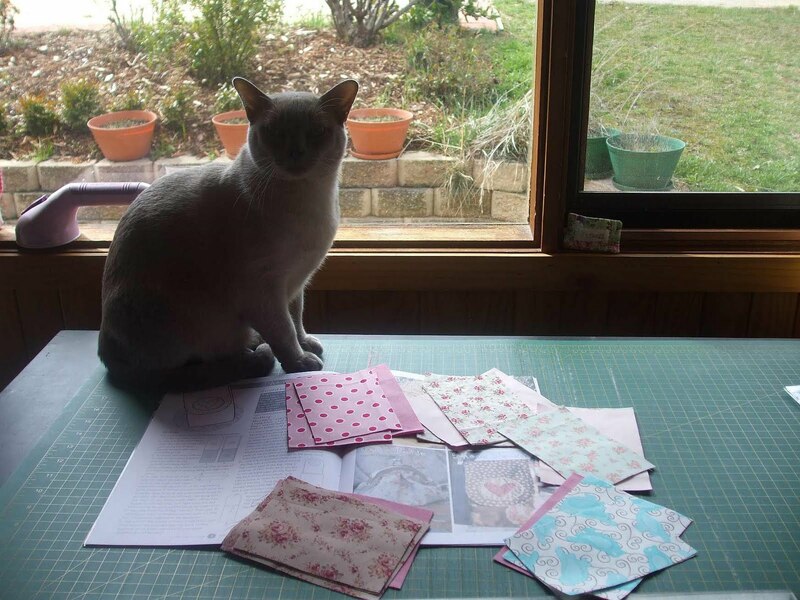 I don't have the heart to tell him that he is a bit of a nuisance in the sewing room - He really does think that he is helping. So today I just have to put these little pouches all together - They are just so cute and practical. 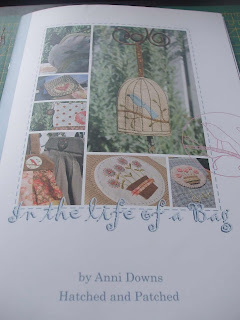 These and many other projects are in Anni Down's new book "In The Life of a Bag". It is a great little book with lot's of wonderful projects. My friend Sarah has them on sale if you are interested. I have also made the birdcage key chains and have lots of other projects on my list of "To Do's". oh I have a project planned for bliss and the candy bar...........wished the mail service wasn't so slow......would be nice to have a shop you could just pop into and grab stuff and go sew...........I always have to wait...........and wait..........and then it is bad cause I also buy things "just in case"
Can't wait to see - it looks so pretty! I love those pouches too, what a great idea. Dreamer is so cute! What pretty fabric. can't wait to see it finished. The pouches are great. I made some for cameras an ipods too. No you can't possibly tell your assistant to go away he is co cute. 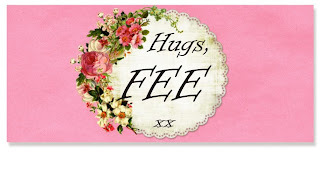 No,is the answer to you question. Seems my weekend is gone already, BUT with other nice things to do! I'm sure your projects are going to be blissfull!!! Apart from finishing the secret squirrel quilt top I've been digging in the dirt or should I say clay!! I'm feeling guilty now I don't have a thread and needle in my hands but I promised myself to take a break. I totally love Bliss too! It is my favourite at the moment! Love that book too, there is tons of great stuff in there. I had that "yes, I'm perfect" feeling with some novelty fabric I used for a hooded baby towel this weekend. Forgot to take a photo of it though and it's at it's new home! Your Dreamer looks like our Macca, only Macca is more likely to be ON the fabric :(. Looking forward to seeing your New Design..Bliss is Gorgeous...Glad to hear your Hand is back to Normal with all your stitching..
Dreamer is so sweet! I had a busy weekend & little stitching done! Your projects all look great!